Experience The Great Migration Safari & Kenya’s most breathtaking National Parks! The itinerary includes Amboseli National Park with its huge herds of elephants against the backdrop of Mount Kilimanjaro, and the world famous Masai Mara Game Reserve with the amazing wildebeest migration which passes through between July and November. All this and much more awaits you on this Safari! Naturally, a very experienced driver/guides with extensive local knowledge and understanding of the animals and flora will accompany you, making sure that you will have a comfortable and memorable holiday. Working together with a very trustworthy and well established Safari Operator in Kenya enables us to provide you with a safe enjoyable experience from the time you arrive until your departure date. You can take comfort in knowing that we are very familiar with local customs, language and the regions you will be traveling to. We hope, that this will be your safari of a lifetime! Amboseli National Park is THE park to see big herds of elephants and a place, which people have fought very hard for, to keep it that way. It is here where Cynthia Moss and Joyce Poole, to name a few, have done amazing research on elephants. This work included studies about the elephant family structure, how they communicate, all about the musth phase in male elephants and impact on their environment. 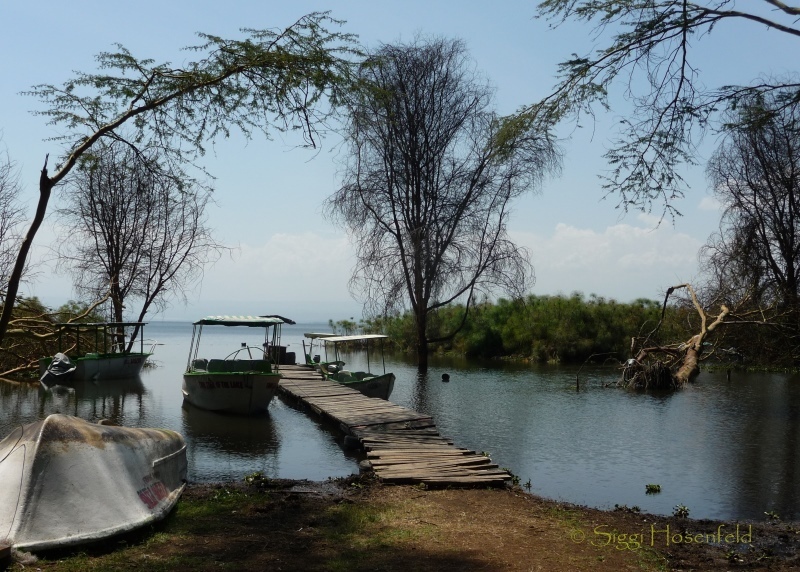 Lake Naivasha is a beautiful freshwater lake. The submerged rim of an immerged volcanic crater forms a bay, which is the deepest point of the lake, the Crescent Island. It is a preserved sanctuary of wildlife where you can wander among tiny herds of mammals. The Masai Mara National Reserve is Kenya’s most spectacular reserve and here you have the best opportunity to spot the Big Five – lion, leopard, buffalo, rhino and elephant. It also hosts the annual famous migration of the wildebeest, up to two million strong, and it is unquestionable the most spectacular natural event in Africa. 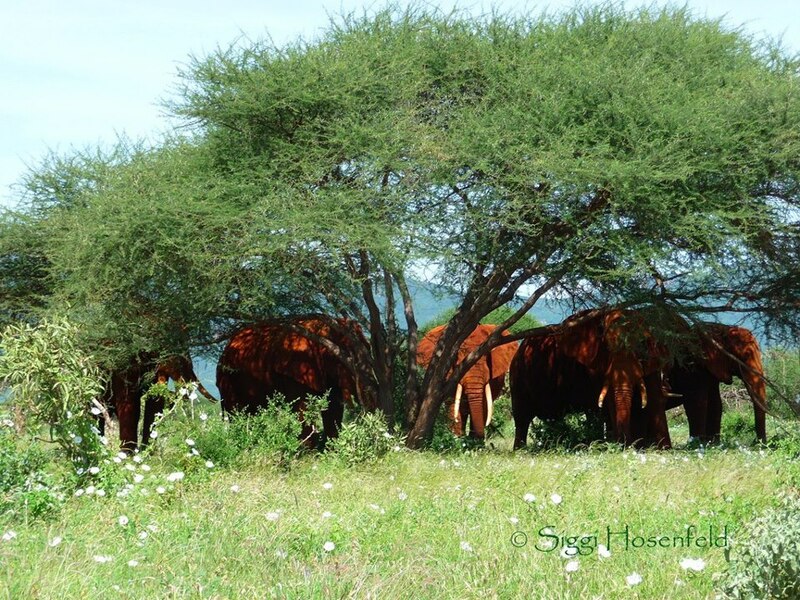 The Reserve covers an area of about 700 square miles and forms part of the Serengeti ecosystem in Tanzania. "Adventures need to be chased", said a close friend of mine once and I agree fully. We hope you do too! 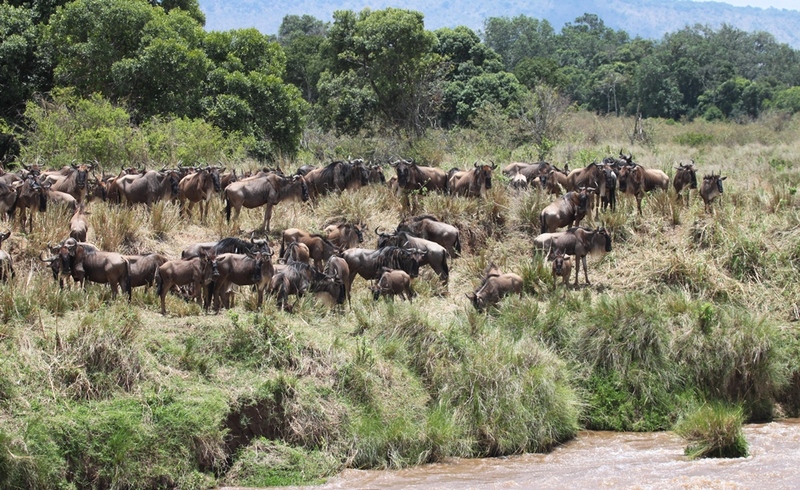 Are you interested to join us on this Great Migration Safari? Than please send us your info, dates etc and we will let you know about prices & bookings! The Complete Itinerary and contact info! Detailed information about the Requirements for your trip.